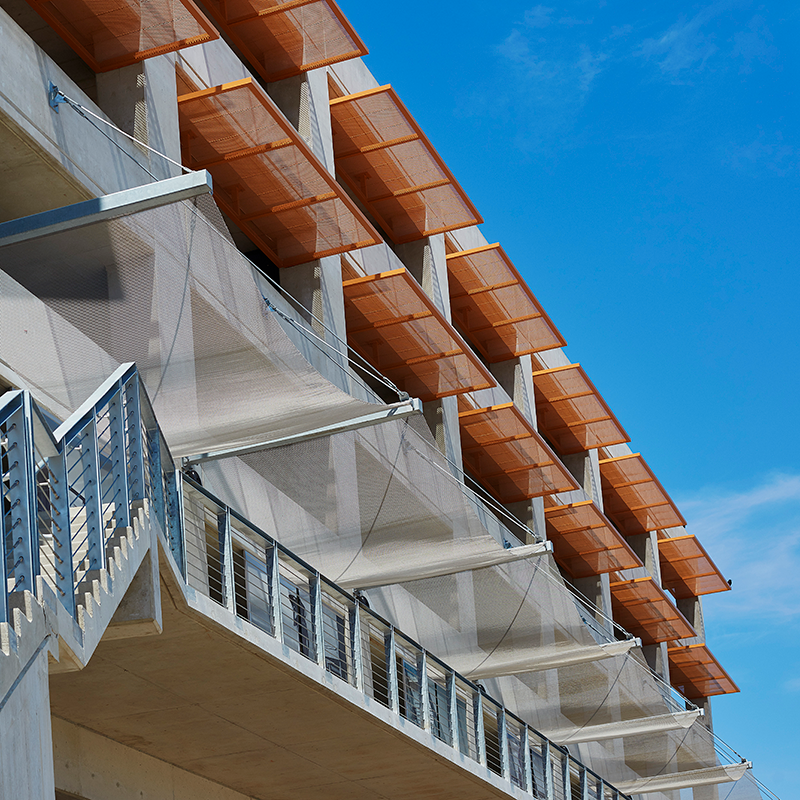 Coiled wire fabric is specified for awnings and canopies to provide aesthetics, protection, and shade. These high-strength systems deliver blockage from sunlight and allow air to flow freely, while simultaneously defining exteriors with their sharp, modern look. Architects can affect how much light penetrates through the material based on weave, gauge, and fullness of the mesh. Cascade offers a variety of durable metal wire materials for outdoor use, plus resilient finishes to give your awning and canopy system enhanced longevity.